This post is reminiscent of another but the thought presented itself to me again this morning. It a subject that I need to be reminded of every now and then. How about you? Because we all value connecting with others, we all try to be good listeners. However, as our lives become busier and more demanding, we may be tempted to hurry through our communications without taking the time to really listen to what the other person is saying. When we don't pause and absorb what what someone tells us, we can easily misunderstand them. 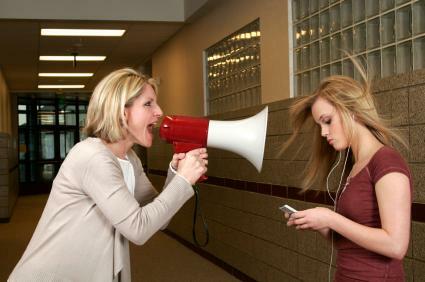 Formulating our own responses instead of listening often leads to confrontation - not communication. Having the courage and discipline to pause and absorb before we respond allows us to move beyond defensiveness into openness and understanding. Reflecting on what we've heard give us a chance to ask for clarification if needed. While listening to someone else, it's important for us to become aware of our feelings. If they're angry or upset, we need to take a time out and blow up in private. It's ok to react, but subjecting another to the full extent of our intensity isn't productive. After having hearing correctly, knowing how we feel, then we can choose to respond rather than simply react. Are you listening? Do you hear me? Do you understand? This does NOT apply to texting or e-mail which are cold,addictive and sadly lacking in emotion. There's nothing like the real thing - communicating face to face. Texting is highly overrated and will never replace the human element of communicating "in person." So put down that cell phone and tell me how you really feel!! Inspired by "Meditations for Empowerment & Peace of Mind"
Thank you, I needed to b e reminded of being an active listener.